During the series sweep of the Pirates that was completed on Wednesday afternoon, Reds' pitching allowed only one run in all three games combined. Bronson Arroyo began the Pittsburgh affair on Monday pitching seven innings while allowing the only run of the series on five hits. Johnny "Rotten" Cueto had the most handsome outing of his career on Tuesday hurling a one-hit complete-game shutout. On Wednesday, Homer Bailey extended the pitching staff's dominance, leading the Reds to a sweep of the Bucs. 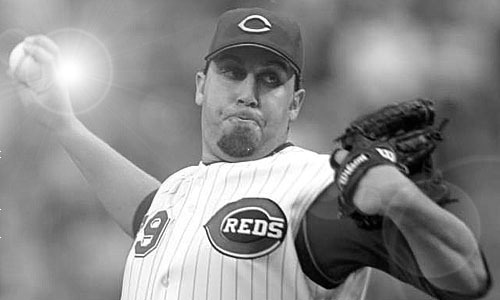 Until Wednesday, Bailey had been alienated by the other starting pitchers for the Reds. After an extremely murky start to the season for Reds' pitchers, all except Bailey have been turning the page. Bailey remained the only starter without a win, and apart from one outing (May 1st vs. STL, 6.2IP, 2ER), he had pitched lousy. Riding the wave of determination that has been recently advertised by Cincinnati, Bailey placed the adolescent season behind him and pitched wonderfully against the Pirates on Wednesday. "That’s the most well-pitched two days that I’ve seen in a long time." 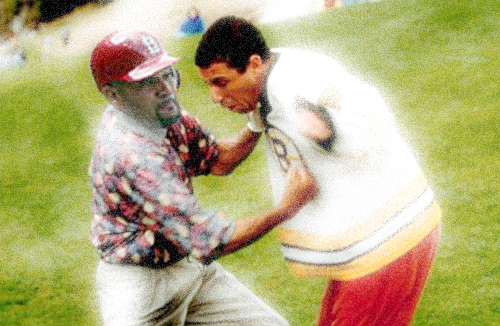 "He was very strong with the fastball. His problem’s been he’s had a long pitch count in the fifth. That’s normally his problem. One of the ways you get out of that is to call a lot of fastballs and don’t move too much around home plate. We got ahead with that and got quick outs." 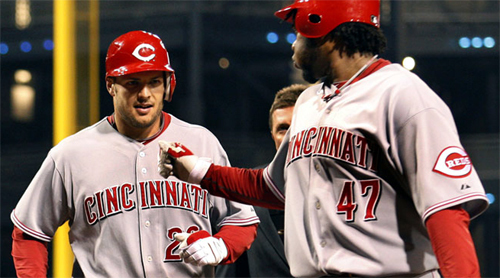 If it weren't for Cueto's dominance, most of Tuesday's headlines would be bearing the name of Chris "Vicious" Heisey. After a dismal 0-5 debut against the New York Mets on May 3rd, Heisey went 3-4 on Tuesday notching his first major league hit and homerun. Heisey led off the game with a single down the third base line and crushed a two run shot off Jeff Karstens in the eighth inning. The Reds beat the Pirates 9-0. Reds' top prospect Juan Francisco was rushed to the hospital prior to Tuesday's game in Louisville. Francisco had emergency appendectomy surgery and is expected to miss four to six weeks. After a rough start to the season, Francisco hit .627 with three home runs and fourteen RBI in his last seven games with the Bats. After being swept by Pittsburg last time they visited, the Reds will attempt redemption on Wednesday. 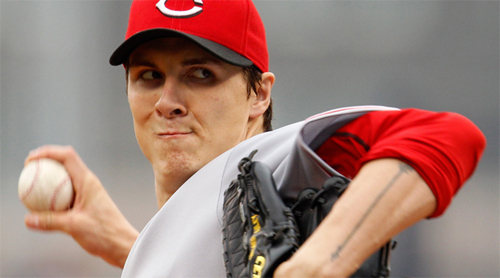 Homer Bailey (0-2, 7.24) will face Zach Duke (2-3, 5.13) at 12:35pm. 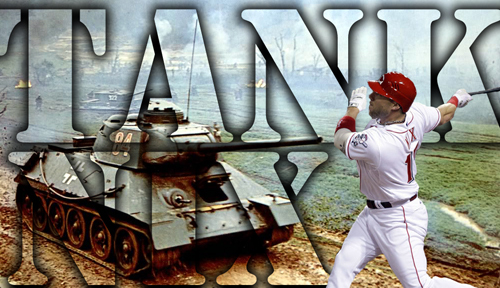 MIKE "GODZILLA" LEAKE AND JOEY VOTTO PROPEL THE REDS OVER THE CUBS....TAKE THAT CHICAGO! While attending the Reds game on Sunday I couldn't help but notice two things. Beyond the obvious annoyance caused by Cubs fans as they visited what they call "Wrigley South", there was an unusual abundance of "W" t-shirts and Ryne Sandberg jerseys being worn by Ryan Dempster lovers. I understand the concept, but fail to comprehend the delivery of the Cubs' "W" obsession. After experiencing a 14-2 embarrassment at GABP on Saturday, what would convince a Cub fan to don a t-shirt exclaiming victory the very next day? What does it feel like to optimistically sport your team's victory apparel after a humiliating loss, fail to win once again, and lose the series to the Reds? I wouldn't know..... I don't root for the Cubs. GABP is full of throwbacks. Whether it's a classic Joe Morgan jersey or an exquisite Frank Robinson, Reds fans always represent correctly. I may be spoiled by fellow fans' knowledge of their team, but Cubs fans need some education. Out of all the Cubs fans surrounding me in section 428 at GABP on Sunday, the only non-current jersey I saw (besides about fifty Sandbergs) was a Sammy Sosa. Weak. Mike "Godzilla" Leake pitched five perfect innings of baseball against the Cubs on Sunday. Rookie Starlin Castro notched the first Cubs' hit leading off the sixth. Brandon Phillips made a slick play behind second base, but pulled Joey Votto inches off the first base bag with a high throw. Behind the Reds 2-0 in the seventh inning with two outs, the Cubs managed to collect a double followed by an infield single. Leake then threw a wild pitch and allowed his first run of the game. Cubs' Tyler Colvin then homered into his own bullpen to put the Cubs ahead 3-2. The lead was short lived. Joey Votto blasted a three-run homer to the Sun/Moon Deck in the bottom of the seventh and after two scoreless inning by Reds' relievers, the Reds won 5-3. WARNING: The video below is not safe for work, school, young children, your mother, and probably not you. The opinions expressed are not relevant to this article, instead they oppose mainstream politics, but the title of the second song in the video (Stick that f@#king flag, up your g@%dam a$$, you sonofab#%tch) is extremely fitting. As the ballpark emptied I was expecting mounds of banter. I can only assume that after Friday's 14-7 loss to the Cubs, the visiting Chicagoans were running their mouths profusely. After a two straight victories by the Reds to finalize the series, instead of emphasizing the obvious and returning the trash talk, Reds' fans departed quietly. As hundreds of Ryne Sandbergs vanished from GABP to head back north, the defeat and honor could not have been laid on any thicker than it was with the Reds fans' civil silence. Happy Mother's Day. "The last three outings, I’ve been able to pretty much put the ball where I want it." Be that as it may, we can only hope that Aaron Harang can keep "putting it where he wants it." The Reds gained a game on the Cardinals on Saturday and are now just 3.5 games behind them in the NL Central. Mike "Godzilla" Leake (2-0, 2.94) will face former Red Ryan Dempster (2-2, 2.95) at 1:10pm on Sunday as the Reds attempt to take the series from the Cubs. Aroldis Chapman will make his sixth start for the Louisville Bats on Sunday against Rochester. Chapman is 2-1 with a 3.12 ERA with the Bats. First pitch will be at 2:05pm. 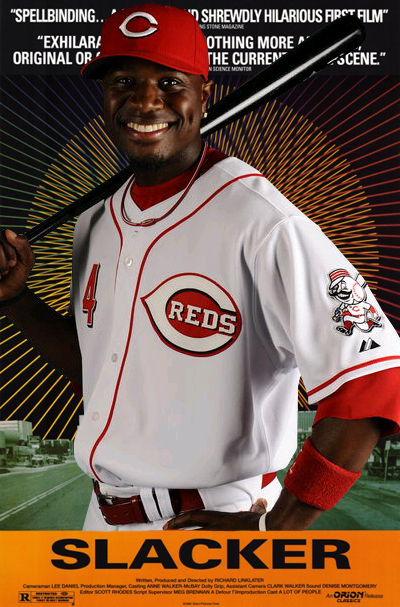 DID BRANDON PHILLIPS COST THE REDS A WIN? Brandon Phillips’ lack of hustle on the ball off the wall last night was addressed. Phillips ended up with a double, instead of a triple, likely costing the Reds a run. “He’s been talked to about this,” Dusty Baker said. 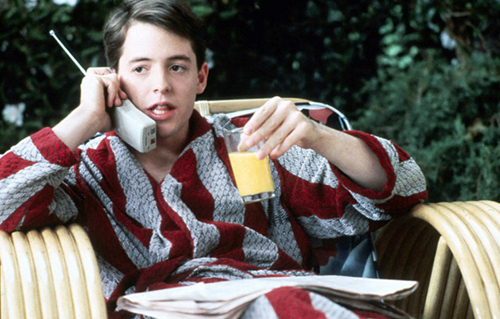 “We’ve talked to Brandon quite often. Is it hard for Baker to watch? “What’s tough as a manager is when you’ve got an A student who’s getting Bs,” Baker said. I tried to talk to Phillips. He did not want to talk about it last night. He did give me one quote. However, I can’t use it here. In episode four of HBO's "Hard Knocks: Training Camp with the Cincinnati Bengals", Roy Williams and Tank Johnson visited their friend Laynce Nix at Great American Ballpark. The trio became comrades when they spent time together in Texas. Nix was a Ranger from '03-'06, while Johnson and Williams are both former Cowboys. During his visit to GABP, Roy Williams wore the 2009 Civil Rights Game throwback Nix jersey. After Laynce Nix hit a game winning homerun to beat the New York Mets 3-2 on Monday, Tank Johnson tweeted this. We believe Nix's new pet name is appropriate. Plus, we love emulating an explosion whenever we hear Nix's name being announced or when Tank Johnson flattens an opponent. Feel free to join in. Mike "Godzilla" Leake looked superb on Monday against the Mets throwing exactly 100 pitches. He went six innings, allowed only one earned run on four hits, and struck out four. The Reds' bullpen (Herrera, Lincoln, Rhodes, Cordero, and Masset) combined for five scoreless innings after Leake's departure. The game was tied at two until Laynce Nix crushed a Manny Acosta curveball to right field for a homerun during the bottom of the eleventh inning. The Reds beat the Mets 3-2. Cuban defector Aroldis Chapman had a very rough outing on Monday against AAA Buffalo. After pitching three scoreless innings, and receiving a 7-0 lead, Chapman fell apart during the fourth and allowed five Buffalo runs. Chapman left after five innings after allowing six earned runs on nine hits while striking out eight. Although Chapman struggled, the Bats offense was superior, scoring twenty runs against Buffalo. Chapman and the Bats both walked away with a win. Reds' outfielder Chris Dickerson had surgery on his right wrist Monday. Dickerson will be expected to miss 4-6 weeks. Bronson Arroyo (1-2, 6.37) will face John Maine (1-1, 7.15) at 7:10pm on Tuesday. Twenty years ago the Cincinnati Reds won their fifth World Series beating Tony La Russa's Oakland Athletics in a four game sweep. 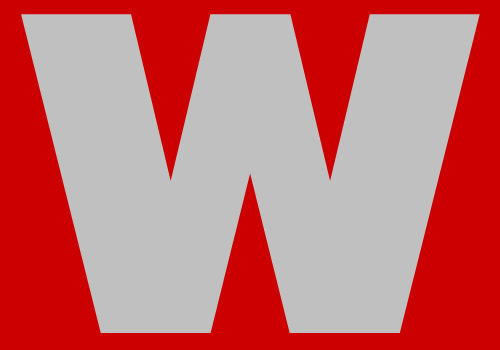 WhackReds.com is celebrating the 20th anniversary of the Reds' last World Championship, and the 2010 season, by dissecting each aspect of the respective teams. This is part 3/12 of the Whack Reds 2010 Player Profiles. Chris Sabo and Scott Rolen combined for eight All-Star games, seven gold gloves, two World Series Championships, and both won Rookie of the Year Awards. 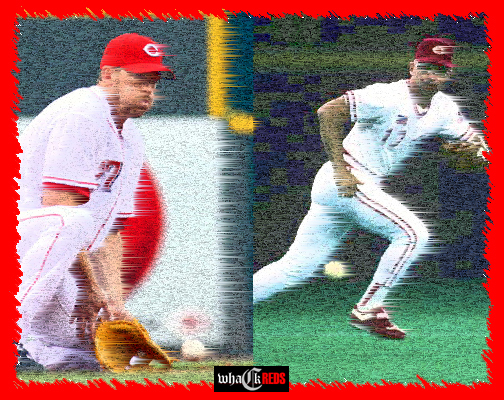 Scott Rolen began his career in 1996, while Chris Sabo ended his the same year. Since 1996 the Reds have had a multitude of players man the hot corner. Sabo and Rolen may be two of the more established athlete's to occupy the position in recent years. Barry Switzer once said, “Some people are born on third base and go through life thinking they hit a triple." As we examine each player respectively, we reveal how most would agree Sabo and Rolen belong on third base. *Update: Aaron Harang pitched well, but the Reds endured yet another loss to the St. Louis Cardinals on Sunday. Harang went six innings allowing three runs on seven hits while fanning six, but Chris Carpenter held the Reds to only two hits over seven innings. Albert Pujols hit a bases loaded double, off Nick Masset in the seventh, to put the game out of reach. Albert Pujols went 1-4 with three RBI. I.H.T.A.P!